Industrial painting and coatings protect the food industry in several unexpected ways. 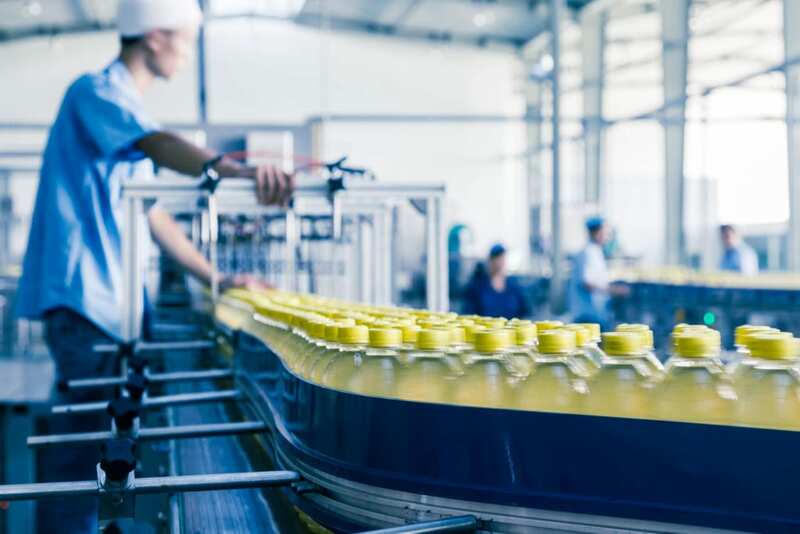 For the food industry, industrial coatings protect the food as well as employees and patrons, not to mention it protects the business owner from future potential expenses. The benefits associated with industrial coatings can range from chemical resilience to extending like-new conditions. Contact WBS Coatings today to see how our coatings can protect your business today. When your products are travelling across country to feed millions, safety and temperature sensitivity is of the utmost importance. One of the key ingredients to keep those perishable items useful is using food industry coatings. Food industry coatings can reduce product loss overall with the reduction of speed in spoilage time as well as reduce accidents and spills. See what food industry coatings can do for you and your business by calling WBS Coatings today! Industrial coatings and industrial painting can be personalized on a per-business basis. This personalization will be based on the specific needs of your company and will influence the ingredients of the coating mixture. A coating mixture can differ based on your business’ needs. You can ask for more chemical resistant coating versus a coating to match your logo color. For industrial painting that’s right for you, call WBS Coatings today! Safety in the food industry is the highest priority. With the products of the industry being highly vulnerable to spoilage, everything surrounding the product must be food grade, including the floors. The best way to protect the floors is with food grade floor coating. These food grade epoxy coatings will resist moisture and extreme temperatures. Food grade floor coating also prevents spills in the facility, and upon spillage, makes it easy and quick to clean as the food grade epoxy coating does not absorb any liquid. This keeps both the product and personnel safe from contaminants as well. For more information on food grade epoxy coating, call WBS Coatings today! We believe that every company has a story worth fighting for. We're here to bring you quality coating services at the competitive pricing you'd expect from Colorado's most trusted coating company. Allow our highly-skilled professionals to bring you the ultimate protection in business safety with the wide variety of coating services we offer to Colorado and its neighboring states. Don't wait for damage to occur to ensure the protection and safety of your equipment – contact us today. WBS Coating is a national painting and coating company. Our team is experienced polyurea painters and coaters. Our team offers primer industrial coating and painting services for industrial and commercial business.